Kristina Carrillo-Bucaram is a raw food pioneer and the founder of Rawfully Organic, a local and organic produce co-op with three locations in Houston, Texas. 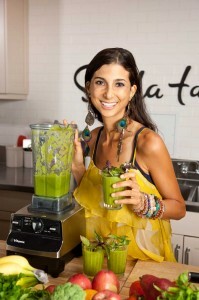 She also runs FullyRaw, a popular movement helping individuals interested in getting healthier by eating raw. Kristina is a passionate educator and culinarian, offering tips and recipes on her YouTube channel, and contributing to publications such as Ellen’s Vegan Blog, PETA and CNN. Chic Vegan was pleased to interview Kristina and talk with her about her switch to a raw vegan diet after becoming hypo-glycemic, her favorite vegan indulgences, and tips for those interested in eating raw. Kristina also generously shared a recipe with Chic Vegan readers. Check out her delicious recipe for Raw Zucchini Pasta with Fresh Tomato Marinara after the interview! CHIC VEGAN – What motivated you to become vegan? Was it an overnight switch or more of a gradual shift? KRISTINA CARRILLO-BUCARAM – I used to be hypo-glycemic, which is the onset for Type 2 Diabetes, and I struggled with that for many years. I finally became raw when I was 18 years old. My reasons for becoming vegan were initially not for animal protection, or anything like that, but more for health reasons. I used to range around 80 pounds because my body was unable to absorb nutrients based on my diet. I needed to get healthy, stabilize my blood sugar, and gain weight! Believe it or not, I made the choice to change to a raw vegan over night. You can only imagine an 18 year old getting ready to leave for college not just vegetarian, not just vegan, but also a raw vegan nonetheless. So when I learned more about my body, blood sugar, and everything else, it ended up that I went to Whole Foods one day and walked out with a massive amount of fruits and vegetables. That night I went raw and have not looked back. That was 8 years ago! CV – Tell us a little bit about Rawfully Organic and Fully Raw. What inspired you to create them? KCB – I ended up going to college at Vanderbilt and being raw there for a few years. I missed the warm weather, my family, so I came back to Houston. When I moved back and started at Rice, I made great friends at the huge farmers market that is held on our campus, but I was also spending about $500 at Whole Foods, which was really tough for a college student’s budget! After being at home, my family eventually jumped on board as well because they too could notice the difference in my diet. After some time, I made a deal with a distributor who would deliver produce straight to my door if I promised to buy from him weekly. Doing that with twelve people in my living room was how Rawfully Organic started. From 40 people picking up their boxes from my garage, it has grown into this amazing co-op environment. Eventually, we grew to three locations and about 7,500 members, fed about 500 families a week, and all funds went straight to the local farmers. Everyone is always getting the absolute freshest and best produce. Fully Raw started from there. So many people loved the boxes, but they had absolutely no idea what to do with everything in the box. I ended up putting recipes on the website and sharing what one could do with all the produce in the boxes. 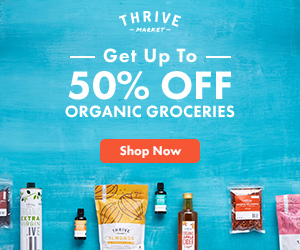 Fully Raw offers raw vegan coaching, directing people how to get to this lifestyle, by coming over to clean out their refrigerators, grocery shop with them, and educate them. I also have a lot of people who come to me asking for my help to lose weight, and just working with people in general to become raw. CV – What is a typical day for you? KCB – I have to ask you, does that mean a Co-Op day or just a regular day? (Laughs) My life is kind of split into two right now. So much goes on during a day for me! If it is a Co-Op day, I start super early so I can talk to my network of farmers, getting orders ready for Co-Op, getting boxes ready for 100 families, which averages about 3 hours, and then another 3 hours spent being onsite for families when they come to pickup their boxes. Co-Op days are literally an entire day for me. I leave super early in the morning and come home late at night. I love it though because it is almost like this great fruit and vegetable party! The days that are not spent at the Co-Op, I typically am raw vegan coaching, doing interviews, or speaking. Keeping busy is what I love to do though! CV – What do you typically eat day to day? What are your essentials for your diet? Basically, I start off every morning with a huge juicer smoothie, which ranges from 32 ounces to 64 ounces. For lunch, it is typically a huge plate of fruit (10-15 bananas, a whole bowl of cherries, etc.) I usually like to eat 1-3 types of fruit in this enormous bowl. Most people think it sounds like a lot, but once you put it into perspective, you have to eat more because fruit is high in water content, but low in calories, so you’re body needs a lot more than normal. For dinner, I always have a plate of fruit, and then immediately afterward a great big vegetable salad! Fruits and greens are for sure my essentials. I honestly tell people to listen to your body, so if you are craving bananas right now, and you want to eat them for two weeks, I say go for it. All I want people to know is to just be gentle to your body on this journey. 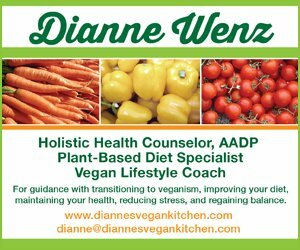 I hear so often from people that they think they aren’t doing the raw vegan diet the right way, but as long as you are eating enough calories and are not depriving your body of nutrients, I don’t think there is a wrong way. I don’t however advocate eating nuts and seeds all day because they are so high in fat. CV – What are your tried and tested meals and snacks when you are busy? KCB – So I am not much of a “snacker”, but the easiest and fasted thing to eat is fruit. There is no time at all peeling a banana or biting into an apple. 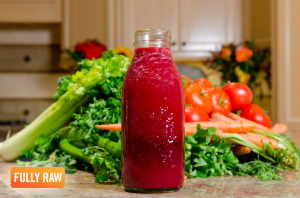 Juices and smoothies take a bit more prep time, but are so great for anyone on the go or with a busy schedule. CV – What’s your favorite raw vegan indulgence? KCB – Oh my gosh. So I have a few, my favorite right now is beets. The thing is there are so many raw vegan indulgences. Fruit is so sweet that it is like eating dessert all day. People often worry if eating fruits all day messes with your blood sugar, but I remind them that I had hypoglycemia and I got rid of my blood sugar issues by eating fruit. These are simple sugars, which are incredible for you. In fact, I have not been back to the doctor in 8 years because of all the fruit I indulge in! CV – When people learn that you are vegan, what is the number one question they ask and what is your response? KCB – “OH MY GOD, HOW CAN YOU LIVE WITHOUT COOKING YOUR FOOD?” (Laughs) Most people are very intrigued. I actually get a different response probably than most vegans because we are assumed to be hard-core animal lovers. I guess because I get so excited about the topic when talking about it, that it interests people and they want to learn more about being raw vegan. Normally, I don’t get sneered at or judged for my diet choice like so many do. I have been really blessed with wonderful people around me offering constant support, even if they are totally new to the idea of being raw vegan. CV – If you wanted to encourage someone to eat a raw vegan diet what would you make for him or her? KCB – If I fed them for a day, I would make them the most amazing juice ever, then either zucchini pasta with marinara or my raw burrito’s. Dessert of course would be an absolute, so I would whip up an awesome pie! That is why I love making my videos on You Tube because it shows people that you can make anything raw that you would normally cook. The key is to be creative. KCB – If we were talking about specific tools in the kitchen, I would have to say hands down my Vita Mixer. I could not live without it! On the other hand, if we are talking other than products in the kitchen, then I would have to say next would be coconut oil and essential oils. I use them all day from on my skin to my hair. CV – What current projects or events are you looking forward to in 2013? KCB – Well I am lucky to have so many amazing things happening in 2013! I am the MC for The Raw Living Foods Expo in the end of February in Sedona, Arizona, as well as at The New York City Vegetarian Food Festival happening in March. I have been working tirelessly on my first Fully Raw Cookbook, which is coming out this year. That has been a dream of mine so I am very excited to see that in the works. I will MC the Woodstock Food Festival at the end of the summer again also. Other than those major events, I will be dividing my time between the Co-Op, Rawfully Organic, Fully Raw, and my You Tube channels. I really want to knock out more videos for everyone. CV – In your wildest dreams, what will your life look like in 5 years? KCB – I want to see my Co-Op expanded into more cities across the nation. There are still so many people to reach in regards to sharing the amazing perks of a raw vegan lifestyle. I have put so much love and energy into my cookbook, so I hope to see that project do really well. This cookbook has incredible recipes that anyone, regardless of diet preference, can enjoy! CV – What does being a chic vegan mean to you? KCB – I think being able to encompass confidence and success with your diet and lifestyle. 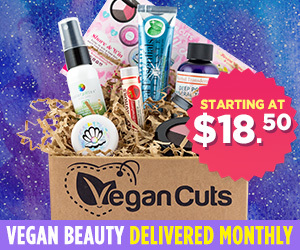 Most girls do not aspire to become a raw vegan, but if they maybe had a positive role model to look up to or mold their own dietary needs after, how great that would be. 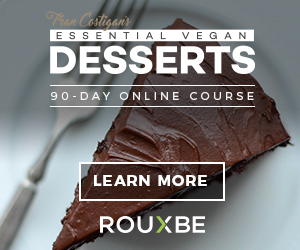 We are in desperate need of a powerhouse raw vegan female! You can also make Cucumber Noodles, or even mix them both! 1. Use a spiral slicer, a julienne peeler, or a mandoline to make zucchini noodles or zucchini ribbons. Transfer to a bowl and set aside. 2. Chop all of the ingredients for the dressing. Put them into a food processor, and pulse until it becomes of desired consistency. Sometimes chunkier is better, but some like for it to be more creamy. If you desire more thickness, feel free to add either a half of an avocado or 1/4 cup of pine nuts. 3. Pour desired dressing over the pasta. You can either mix it in, or let it sit on top. 4. Top with chopped tomatoes or cherry tomatoes!